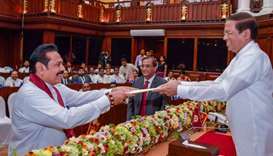 Speaker Karu Jayasuriya reconvened parliament Wednesday after the country's top court suspended a presidential order dissolving the body and calling fresh elections on January 5. 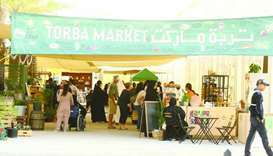 An attempt by the speaker to hold a roll call vote failed, due to protests from government members, prompting him to recognize the majority by observation. 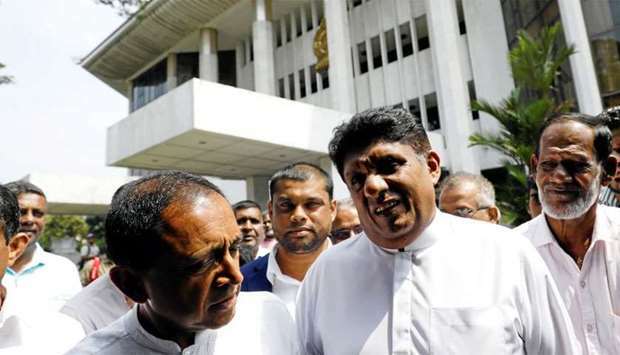 "Democracy has prevailed by passing of the no confidence motion," Sajith Premadasa, a member of parliament for the opposition United National Party (UNP) asserted. 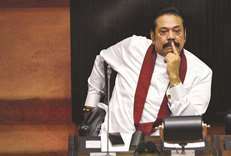 But Dinesh Gunawardena, a minister of Rajapaksa's government, claimed that the speaker was acting against common parliamentary practice and claimed that therefore the passing of the no-confidence motion was "illegal." 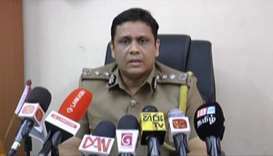 Wickremsinghe has refused to accept the appointment of Rajapaksa, who was appointed to replace him on October 26, and has refused to leave the official residence of the prime minister. 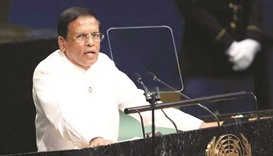 The power struggle between President Maithripala Sirisena and the former premier has plunged the country into political crisis and provoked concern from the international community. 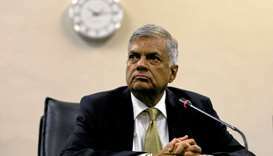 Wickremesinghe's party is calling on Rajapaksa and his newly appointed cabinet to step down. 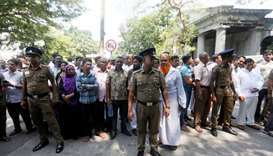 The Supreme Court on Tuesday put on hold a proclamation made by Sirisena last Friday to dissolve parliament. 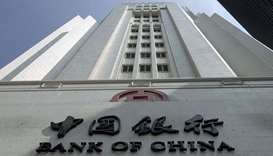 The court had considered a total of 17 petitions against the move. A minority political party -the Marxist JVP (People's Liberation Front) - moved the no-confidence motion against Rajapaksa at the start of Wednesday's session. 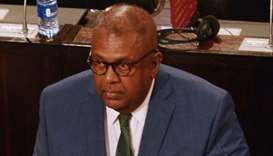 The motion was to be followed by a vote in which Wickremesinghe was to have an opportunity to prove his majority. 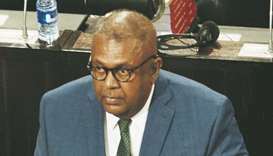 Wickremesinghe insists that his party has the support of more than the required majority of 113 members in the 225-seat parliament. Sirisena initially claimed his party could prove that the new premier, Rajapaksa, had the support of more than 113 members, but his party members later conceded they do not have the numbers. Sirisena was elected as president in 2015 largely due to the support of the UNP and went on to form a coalition government with Wickremesinghe. But Sirisena later fell out with Wickremesinghe, claiming his party was corrupt, was selling state ventures to foreign companies and even plotting to assassinate him.